Skin heals from cuts, bones from breaks, and hair and fingernails can grow back. Imagine if everything we lose, tear, or damage could regenerate. If it were possible, we could restore brain cells, tissue, cartilage, or even limbs. While we’re not quite there with natural regrowth of certain functions, scientists have found a way regenerate meniscus in sheep using human growth factors. Menisci are pieces of cartilage found on the inner and outer edges of the knee that steady the knee and also work as shock absorbers. Although rubbery and strong, meniscus tears can happen to anyone that suddenly changes direction while running or walking, such as basketball players. This common knee injury is extremely painful and meniscus repair more often than not requires knee arthroscopy. The loss of menisci can lead to degenerative arthritis. At Columbia University Medical Center, doctors have found a way to repair and replace the meniscus using a 3-D printed implant. These implants are individualized for each patient, and the infusion of human growth factors in the implant spurs on meniscal regeneration. Growth factors are steroid hormones, or proteins that occur naturally in the body. They regulate and stimulate cell growth, and promote healing. The idea of regenerating menisci is a grand one, as over one million surgeries on the meniscus are performed each year in the United States alone. Jeremy Mao, DDS, PhD, an Edwin S. Robison Professor of Dentistry at the Medical Center where the 3-D prints implants were first trialed, uses a 3-D printer to accomplish the task. 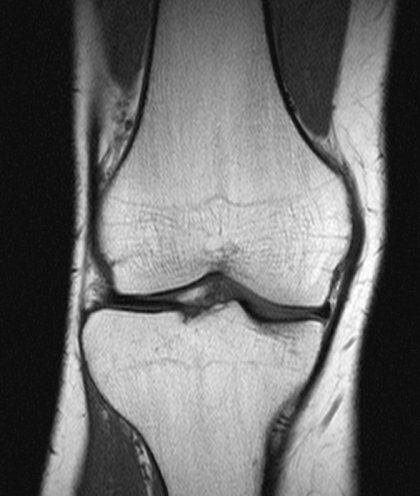 He scans the “good” (undamaged) knee using an MRI. These scans are converted to 3-D image, where it is used to make a scaffold (implant) of the meniscus. This procedure, which takes about 30 minutes, is proceeded by the infusion of two human growth factors to form the tissue used in the implant. 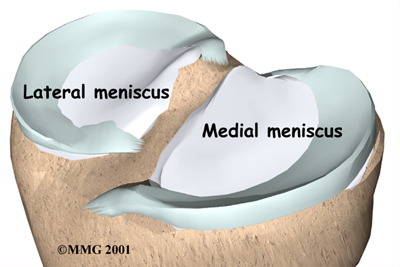 Once implanted, it takes four to six weeks for the meniscus to regenerate in sheep. Eleven sheep were used in this trial as their knees are most comparable to humans. Within three months of the implants, the sheep were walking normally, and results postmortem of the meniscus showed the regenerated meniscus similar to naturally formed meniscus. At the moment, a torn meniscus can be sewn together if small, but large tears require orthopedic surgery to be removed. Occasionally the meniscus can be replaced with meniscus taken from cadavers, or tissue from a part of the patient’s body, but the success rate is quite low for this procedure, and the risks of using tissue from other areas is risky. Removing the torn menisci offers pain relief and decreases swelling to the knee, but the lack of meniscus as a shock absorber will most likely cause arthritis in the future. This study is valuable for orthopedists and those involved in sports medicine as a new and better way to treat athletes and patients with knee injuries. Talk to your orthopedist about the future of meniscus regeneration. If you have knee pain or have been told you are in need of an arthroscopy, contact our renowned sports medicine specialists at Orthopedic Surgery San Diego for an evaluation.